I will be straight forward and say I did not want to watch this version. Nope. Not kidding. I love the animated one and I think it’s safe to say out of all the Disney animations, Beauty and the Beast was my favorite until The Princess and the Frog. But when I heard they were going to do a live action I was so apprehensive about it. Will it be as good as the animation? Are they going to do all the singing? Who’s going to do Lumiere? They cannot get my favorite Disney character wrong! Emma Watson? As Belle? Are we sure? There was just too many reservations for me so I decided to skip it for as long as I could. Which wasn’t long, laughs. My mom really wanted to see it and we had an afternoon free of obligations so to the theater, we went. Now, do you really need a summary? For the newer generations, one should be written. So, there once lived an arrogant boy who was too much into looking good. When an old, ragged woman knocked on his door one rainy, stormy, wintery kind of night he balked at her and shooed her away. Turns out she was a witch! Or at the very least a magic-wielding woman. She cast a spell on this arrogant boy, turning him into a beast and his entire household into household objects. The only way the spell can be broken is for someone to fall in love with the beast, despite his monster-like appearance. What can I say about the plot? It’s a classic. At least, I think of it as a classic. 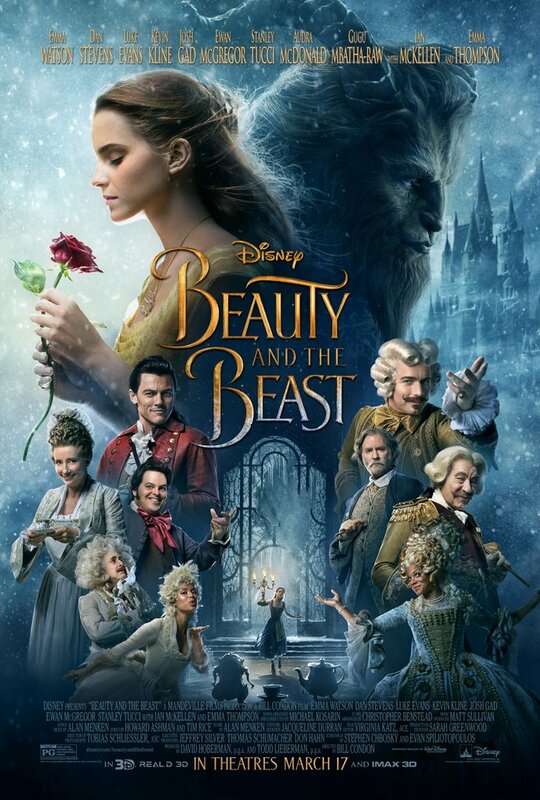 Disney’s Beauty and the Beast came out in 1991 and even before that you had the French film La belle et la bete directed by Jean Cocteau (which I’ve never seen and didn’t know of its existence until this. post.). And with further research (because it wasn’t until I decided to write this when I thought “Hm, where did Disney pick up this French tale) I found this fascinating article, “The History of Beauty and the Beast”, posted by Pook Press that gives an overview of the history of the story and it’s possible origins (and I’m not using “fascinating” in the sarcastic sense. Historian wanna be, remember?) and it has a relatively short history when compared to other fairy tales. The article mentions that the first appearance of the tale was in the 1700s. So, I didn’t mean to turn this plot-review into a history lesson, but since this plot is a classic fairy tale all I can really comment on is the theme. As most fairy tales go, there is usually a lesson to be heard and in this case, it’s to not judge outward appearances. It’s a good lesson to learn. And while we cannot always stop our minds from being biased at first glance, we can push those thoughts to the side after those first few seconds. Sorry, sorry. This movie has been on my mind and I watched parts of it the other day. Couldn’t resist putting this in 😛 . The live action adaptation, together with good directing and good acting, was done well. The pace moved along nicely and almost matched the animation scene for scene. It was interesting to see how some animated parts would translate to live action, like the scene where LeFou hides as a snowman while spying on Belle’s father. I’d say the spirit of the animation was captured in this live action which is always a plus. There are just some things that you just can’t translate into live action, but Candon and his team done good. They were the leading actor and actress, but really, the cast did an amazing job. Luke Evans was hilarious as Gaston. It really was hard to picture him like that since he’ll always be Aramis (Three Musketeers , just in case) to me. And Josh Gad did well as LeFou. It was good to see Kevin Kline (Maurice) as well. Everyone did an amazing job. While we’re on presentation, the storyboard layout was good as well. I’m not really that techie, but I like the shooting sequence (does that make any sense?) of the scenes. I know they had a blue print, but I cannot help but think that it the camera work and editing could have gone wrong and they didn’t in this case. As with most comparisons, I don’t think it’s fair to compare the two. While telling the same story and almost matching the animation, it’s live action. I mean, animation you draw the smiles, the laughs, the anger. Live action it falls upon the actors. It falls upon the backdrops, the set design, the right camera angles. It just wouldn’t be fair. So to say that it was as good as the animation? No. They are both good in their own right. They sing. You are warned. It was so much fun to hear this soundtrack again and seeing it on the big screen (since I didn’t watch the animation in theaters). Needless to say I was singing softly to myself during the movie. I’m sure I wasn’t the only one. No. They did not 😥 . Ewan McGregor. And as far as voice overs go, he did do live-action Lumiere justice. And of course, you have his partner in crime, Cogsworth, who was done by Magne–I mean, Ian McKellan. They had the right chemistry for partners-in-crime.